‘a theme or argument of general application’. Commonplace books (or commonplaces) were a widely used method for compiling knowledge, usually by writing information. 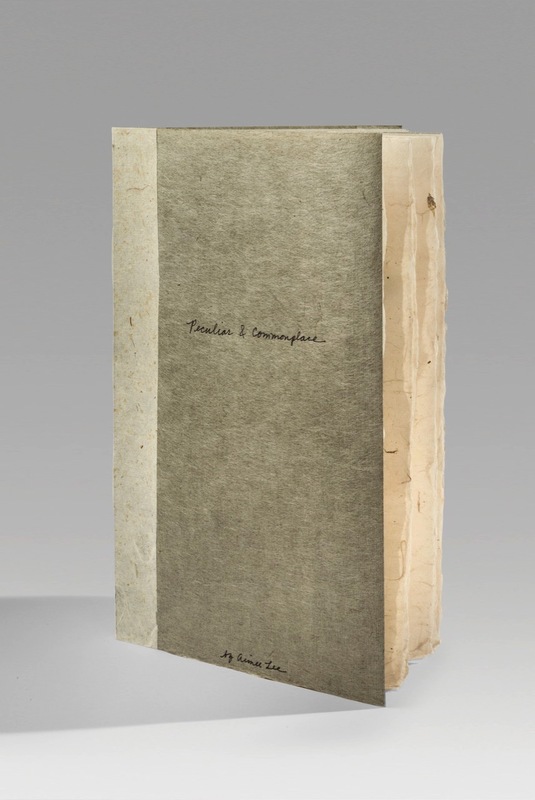 In this original sense, commonplace books were collections of knowledge transcribed into books by one creator, typically following an individual’s particular interests and were significant in early modern Europe. By the seventeenth century commonplacing was formally taught to college students. In 1706 Enlightenment philosopher John Lock wrote A New Method of Making Commonplace-Books, in which specific advice on how to arrange material by subject and category is offered, along with the admonition that such books are not chronological and introspective as journals are, nor are they travelogues. 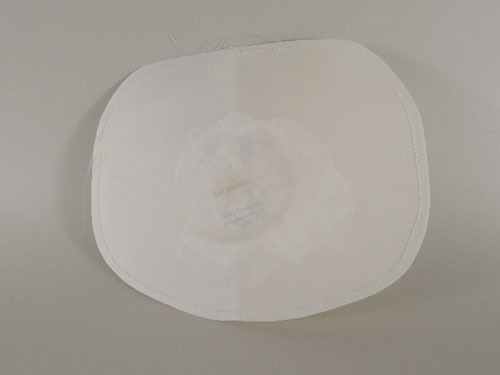 Commonplacing remained standard practice as a popular study technique into the early twentieth century. 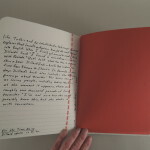 During this Age of Information, recording by writing on paper is a diminishing practice; consequently commonplace books can be viewed as charming relics of the past, and serve as fodder for contemporary projects, particularly to those interested in the book form. 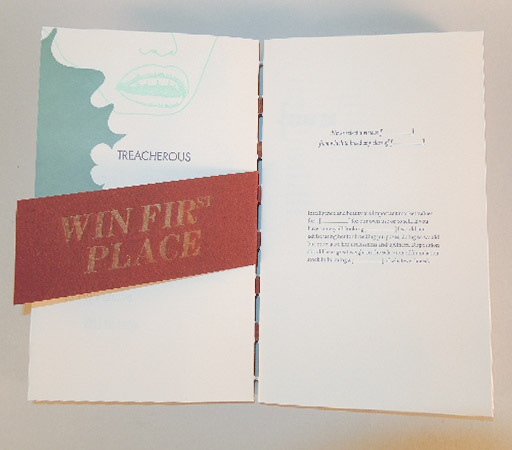 Aimee Lee’s Peculiar and Commonplace book, published in 2018 in a limited and variable edition of ten copies is such an example. 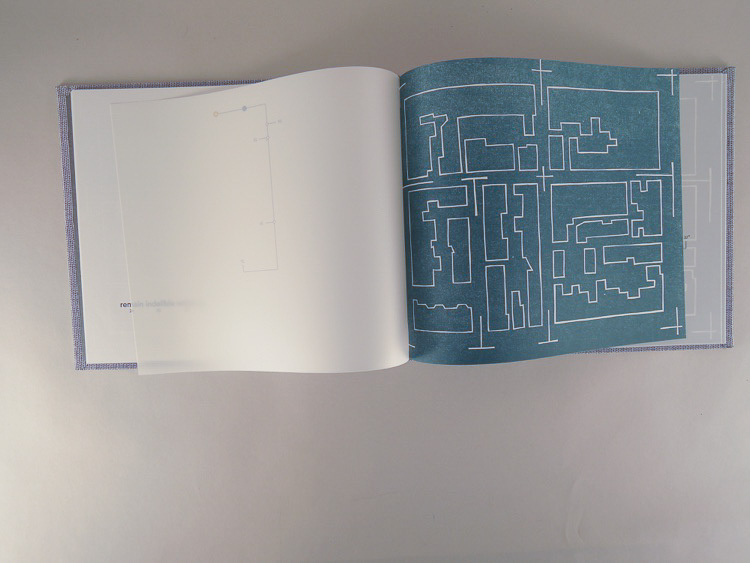 Lee’s book is soft-cover, the size approximating that of letter-size paper. 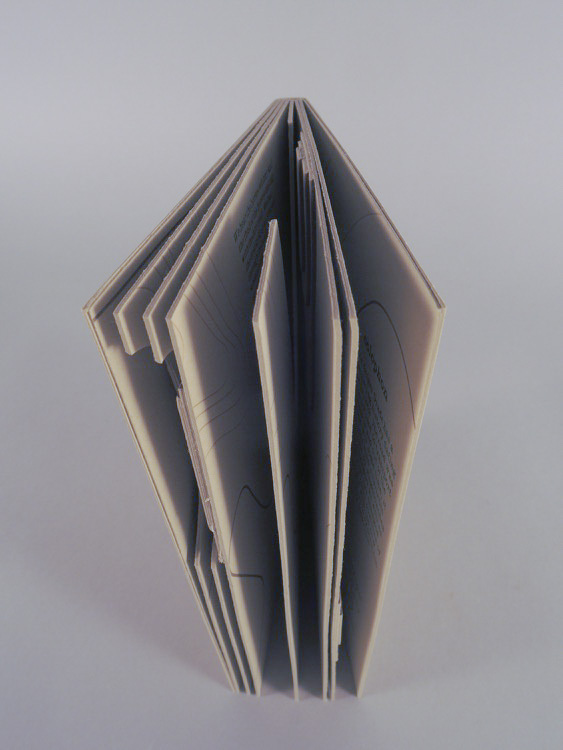 Tonally muted, the book spine is of a lighter colored paper that extends onto the cover, structurally mimicking a quarter-bound book and visually mimicking the left-hand column of the loose-leaf paper familiar to those educated in pre-computer environments. 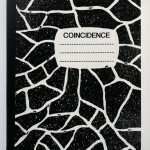 That both the title and author’s name present as hand-written provide further clues to the book’s general theme. 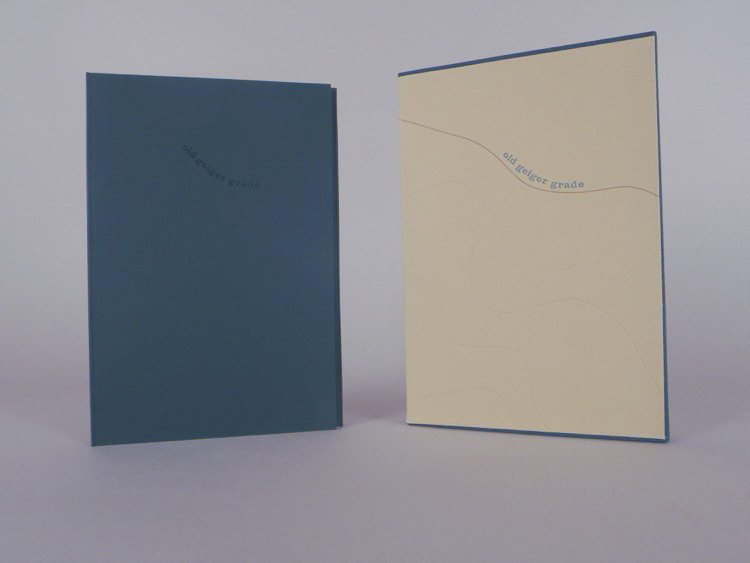 The text block consists of a two signatures, nestled side by side and sewn onto a full-width sheet that tucks into and is affixed to the handmade paper cover. 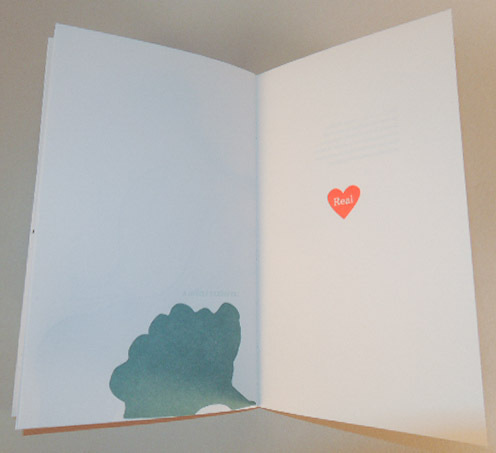 The handmade pages are lightweight and fluffy and vary in tone, texture and opacity. 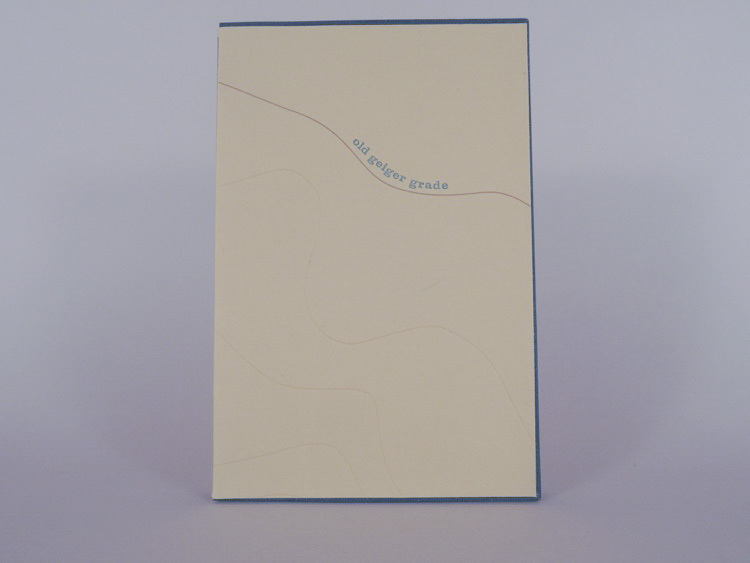 The text is a mix of pre-published quotes with attributions and narratives written in both memoir and instructional styles, in both first and third person, from a variety of unattributed sources. 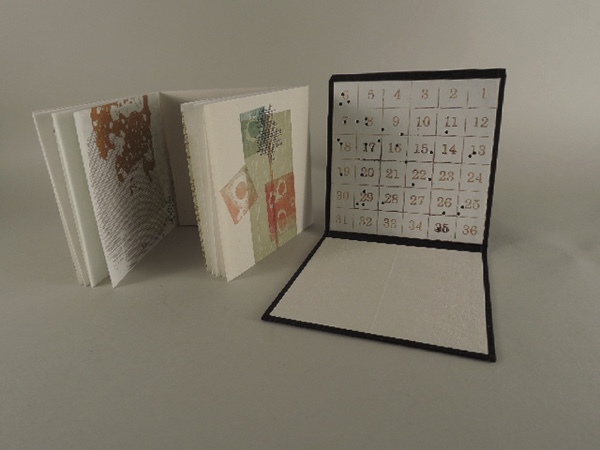 Illustrated throughout with both hand-drawing instructional sketches and physical samples from the making of a paper dress, the richness of Peculiar and Commonplace is furthered with the turning of every page. 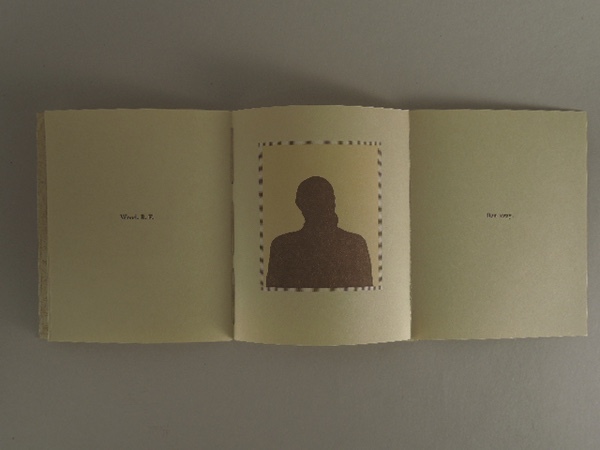 An introductory page presents a quote by Kazim Ali and another by Barry Lopez that refer to the act of recording our own histories. 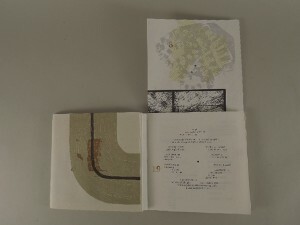 This is followed by a Table of Contents (which may or may not be a break from the commonplace tradition). This table of contents provides an early clue that the book may well transcend the commonplace genre. 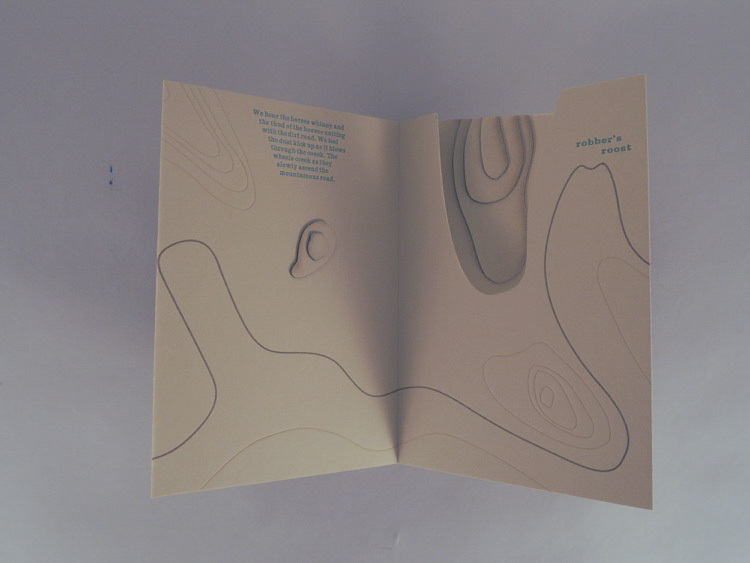 Early on is a tactile, enticing spread, filled with tipped-in samples of materials alongside sketches of the tools needed for the project at hand. 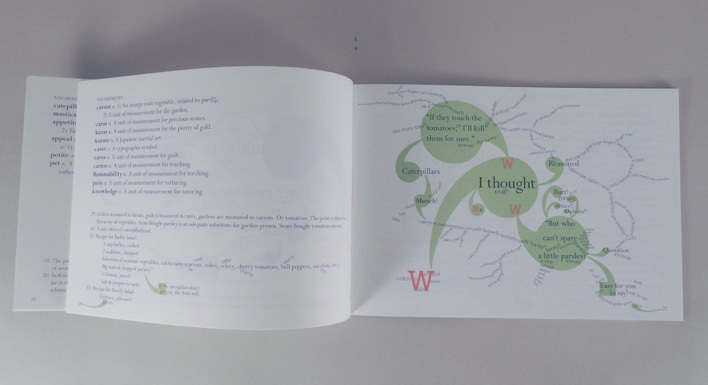 This mixing of drawn sketches, with materials and digitally set text continues throughout the book, the pairings of quote with insert not always obvious or easy to digest. 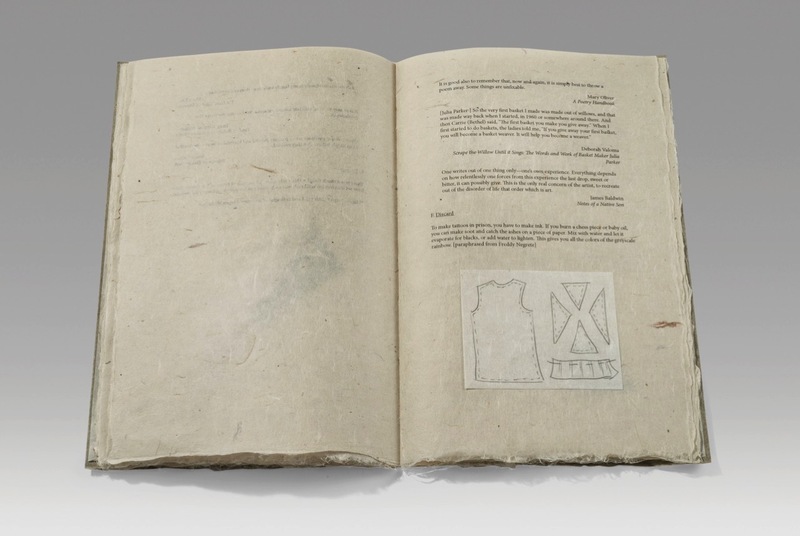 In the copy I have at hand (#4) a page from Chapter III, Section F: Despair has quotes referencing emotional pain, including a snippet from a Marine corp fighter pilot, with a tip-in of paper-tape stitched to a lighter weight sheet, in khaki and green tones, the shape resembling a draped flag (a flag of surrender?). 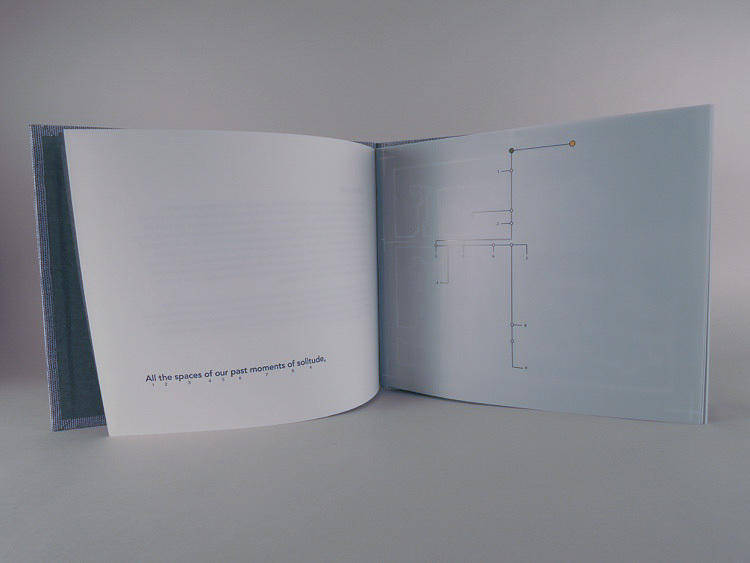 Another page with quotes referencing how we live with others is accompanied by a three segment panel, each panel a different color, nearly balanced, but not quite. Take everything you’ve learned, seen, gathered, watched, abandoned, caused, adored, cultivated and trashed. Handle everything repeatedly. Rearrange. Let the table be knocked over and the wind to blow as it pleases. 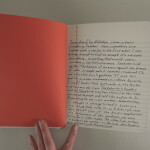 This quote is accompanied by a sketch of a spiral bound notebook, the left side blank, the right side lined. 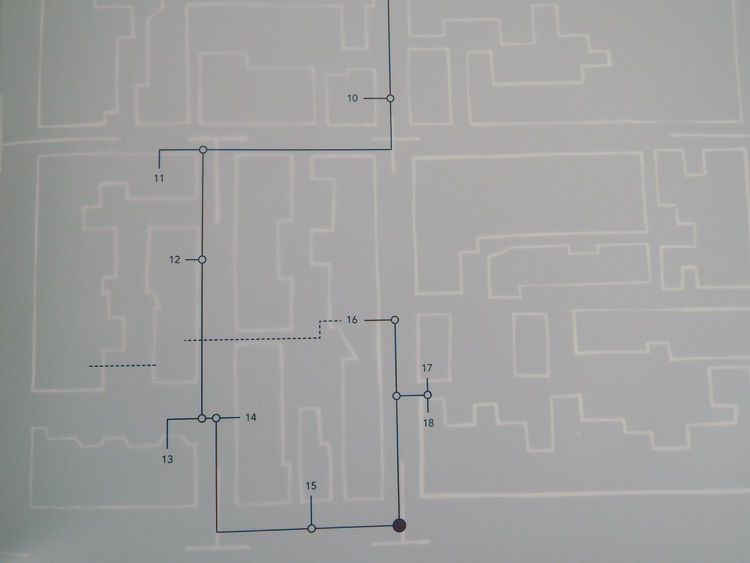 It is unclear whether the lines represent writing, or the pre-printed lines often found in spiral-bound notebooks. 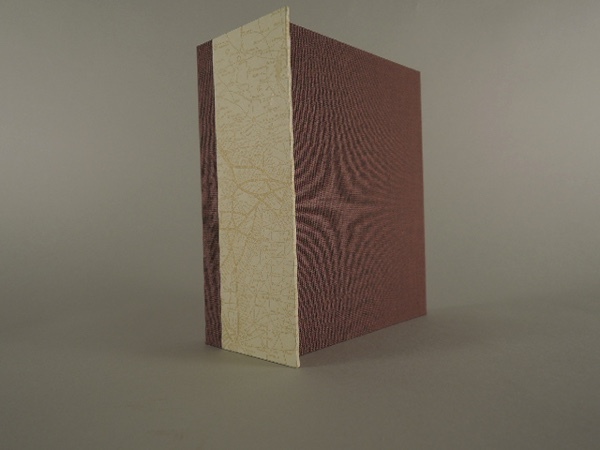 From the colophon I learn that the all of the text block’s papers were handmade by Lee from mulberry from various countries; the cover paper made by Jang Seong-woo in Gapyeong, Korea. 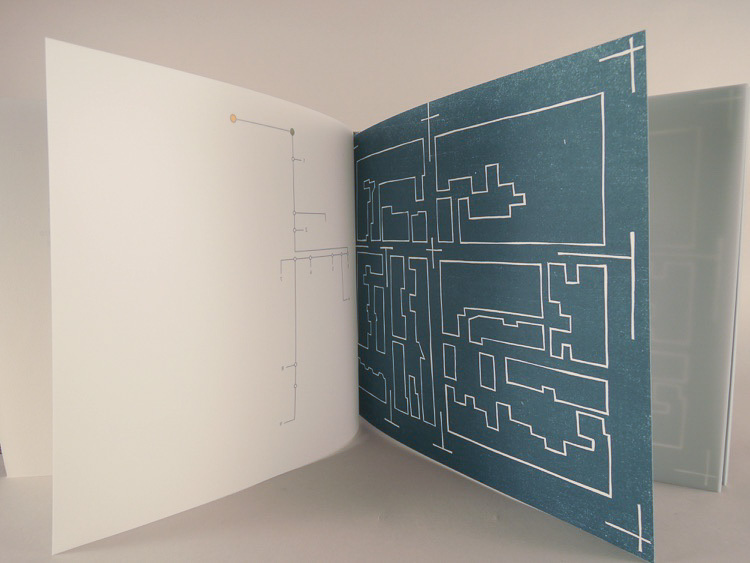 This is the first time, maybe ever, that I’ve felt 100% great about a book that I’ve made. It’s because I have the right tools (experience, technical skills, confidence) in the right combination. 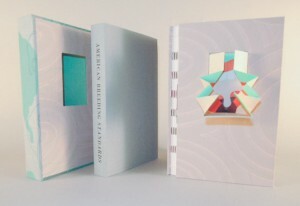 American Breeding Standards is a substantial volume housed in a colorful slipcase. 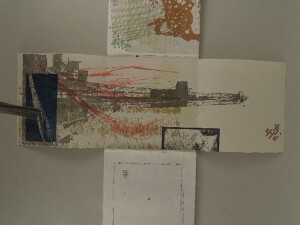 The cloth is printed, and a line drawing of a horse wraps around the paste paper sides of the case. A window features prominently in the front, displaying a human mouth printed on the matching chemise. Removing the chemise, another window appears, opening to reveal an intricately folded popup of a human mouth in stunning color. 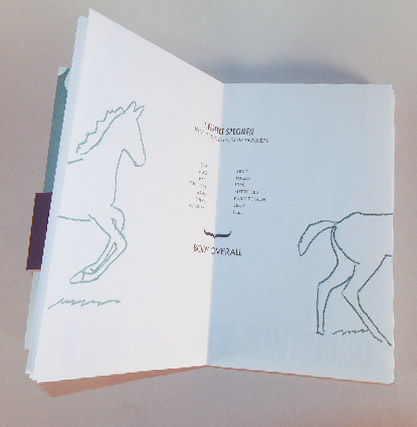 Opening the book, the title page announces the sources of the text: American Horses and Horse Breeding, 1895, and Canine breeding standards of the German Shepherd, 2012. 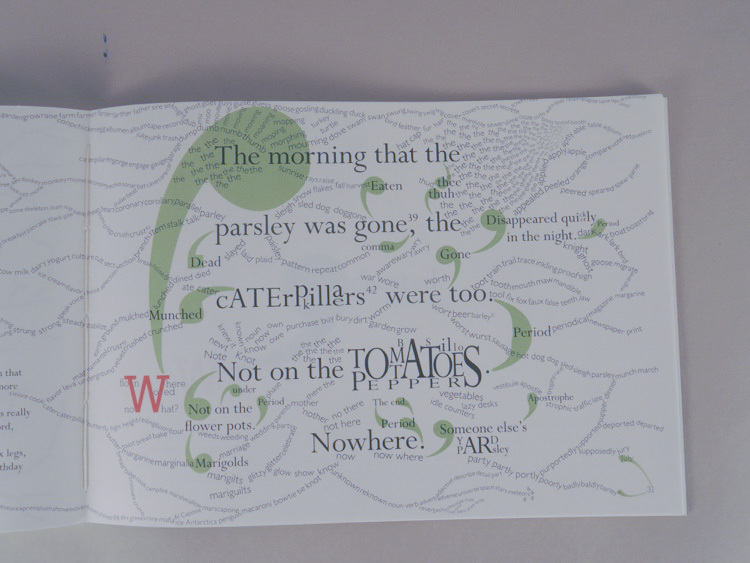 This text intermingles with Knudson’s original text and illustrations. On the subject of illustrations, American Breeding Standards is full of beautiful, clean, vibrant illustrations. 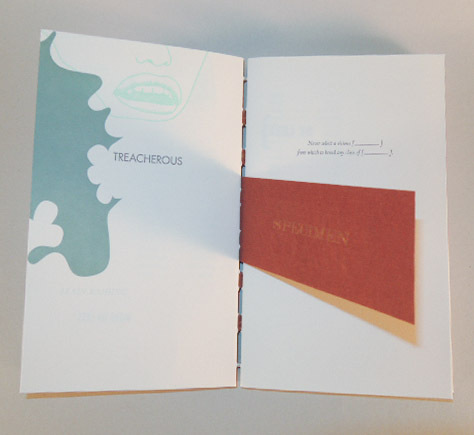 These are letterpress printed from photopolymer, although many feel like linoleum cuts. 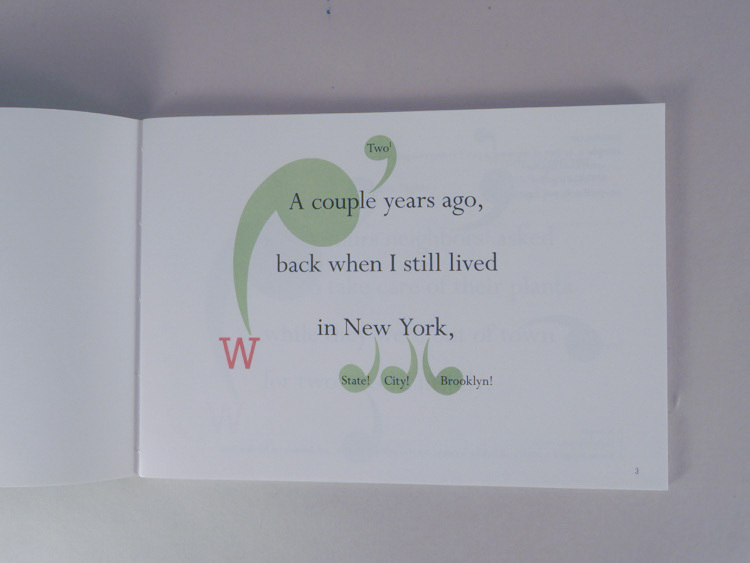 The vividness of the color and the quality of ink coverage is remarkable, to say nothing of the quality of line. 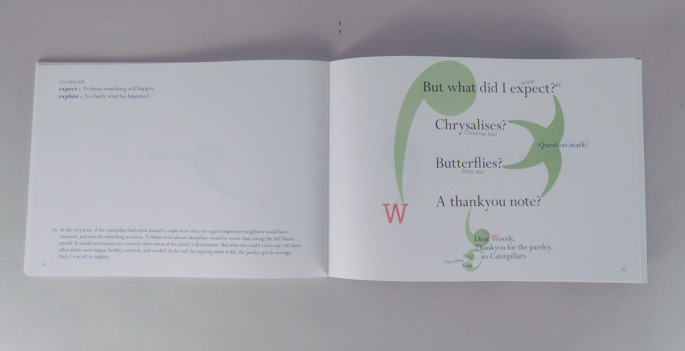 The playful and charismatic images, combined with the friendly typographical style and design throughout, give the book an affable, lighthearted personality that contrasts with the overarching commentary on standards. Proceeding through the book one encounters lists of word association. 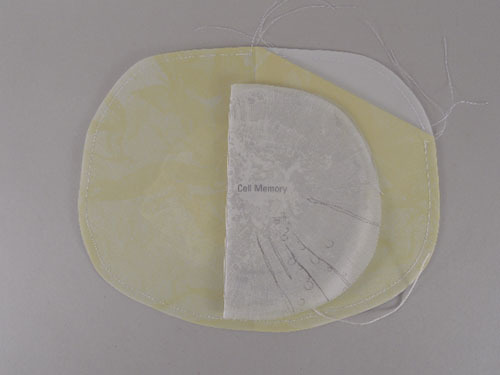 These begin innocently enough, (e.g. spray/tan, hair/extension), but soon turn into lists of euphemisms and their connotations: (honest/rude, intense/bossy, intelligent/nerdy). The word association lists accomplish a great deal of conceptual work in equating standards to a mental framework, or even a mental illness. Something engrained in us as consumerists; something to be diagnosed. Other pages contain paragraph excerpts from the previously mentioned Breeding Standards books, often with their subject blanked out. 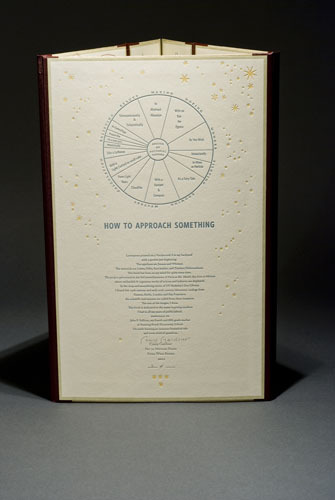 This recontextualizes texts such as “The Architecture of Perfection”, referring them to humans. 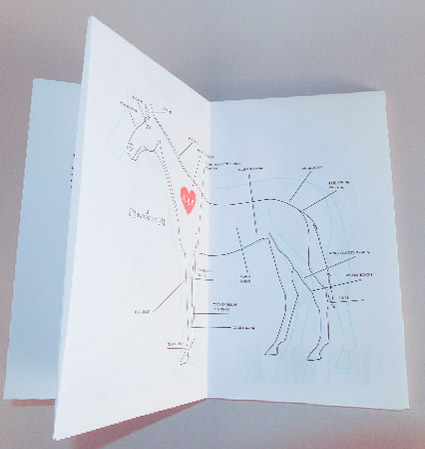 “The Architecture of Perfection” is an excerpt describing the ideal legs and feet of horses. 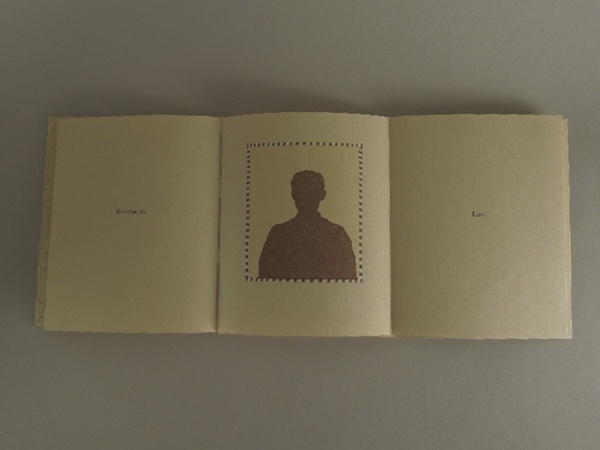 In its blanked out state the excerpt acts in the book as a commentary on gender issues. The suggestion that women are treated like animals has an interesting relationship to the word association lists of horrible, unnatural things humans do to be beautiful: (nose/job, stomach/staple, anorexia/nervosa, high/heels). 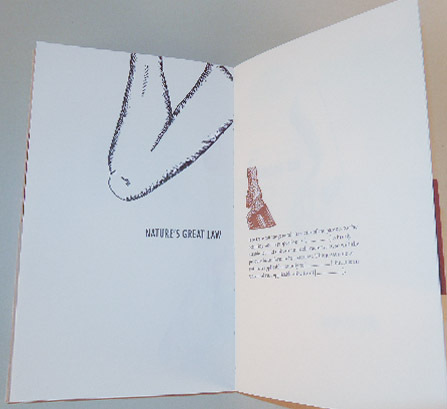 The excerpts work brilliantly with Knudson’s original text and images, and by blanking out the subjects she has made the appropriated text almost indistinguishable from her additions. The matter-of-fact tone and assumed dominance and casual discussion of breeding stock exhibited in these excerpts from animal breeding standards carries over as a primary attribute of sexism. 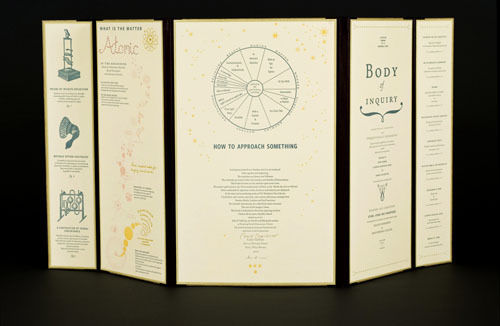 The first foldout in the book, “Human Female Standard”, depicts the standard of beauty in our culture, defining the standard for each anatomical part. 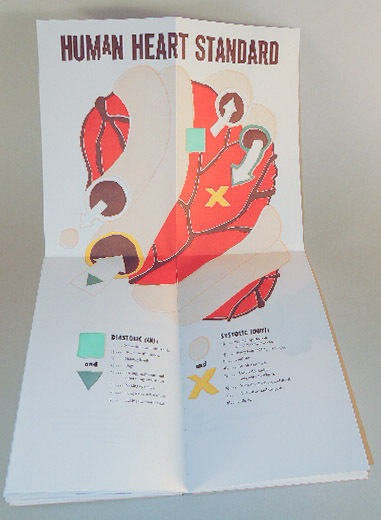 The next foldout depicts a normal stomach, a gastrectomy, a gastric sleeve, and a gastric by-pass— helpful suggestions on how to attain the physical standard. 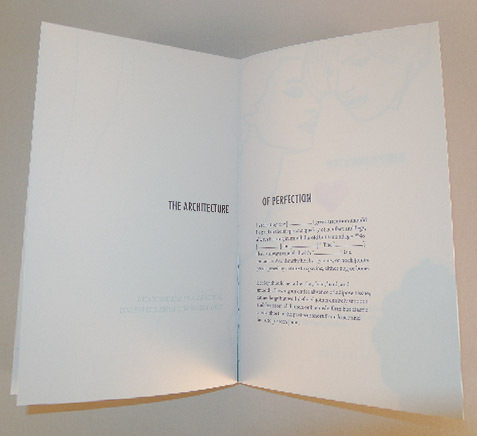 The section of the book on real love features a foldout of the “Human Heart Standard”, listing positives, (tea in the afternoons, holding hands), under the title, “Diastolic”, and negatives, (Envy, The future and the past), under “Systolic”. 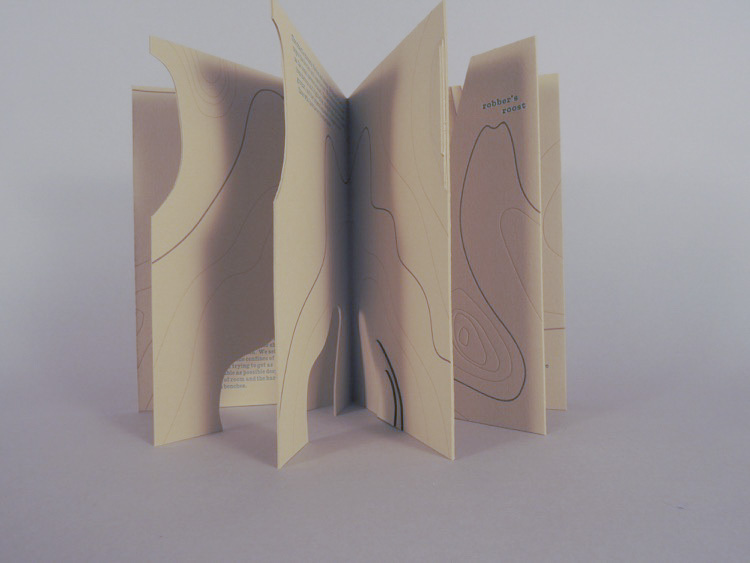 These foldouts function beautifully, making good use of the additional space and highlighting the book’s design. hiding in the corners, like the words “So silently”, which nearly eluded me on the spread dealing with Disposition. 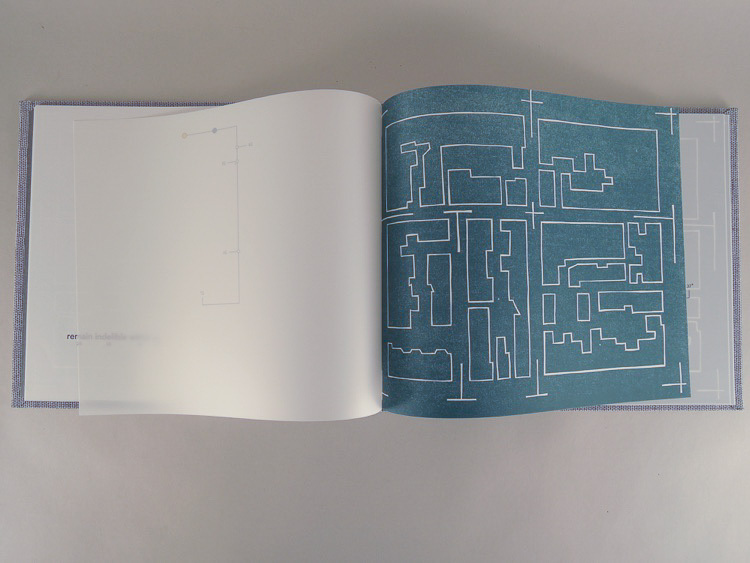 This book is as creative and full of personality as it is critical. 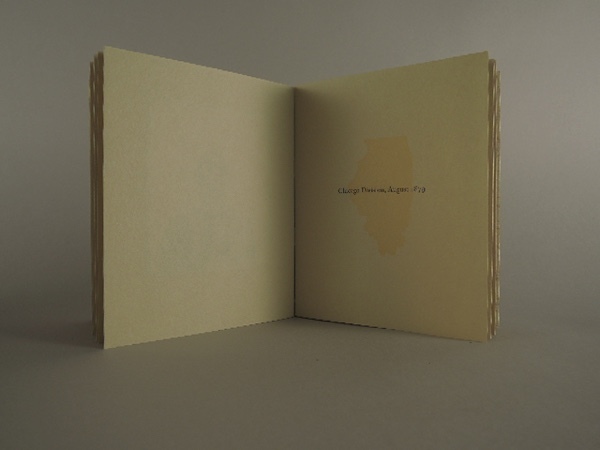 Unlike many books that deal with such heavy subject matter, American Breeding Standards is easily accessible and intimate, and avoids preaching or feeling aggressively opinionated. It feels like sitting down with Ellen Knudson and engaging in a lively, well-spirited conversation; her sense of humor and personality are presented here in spades, and her opinions are clear and well-spoken. 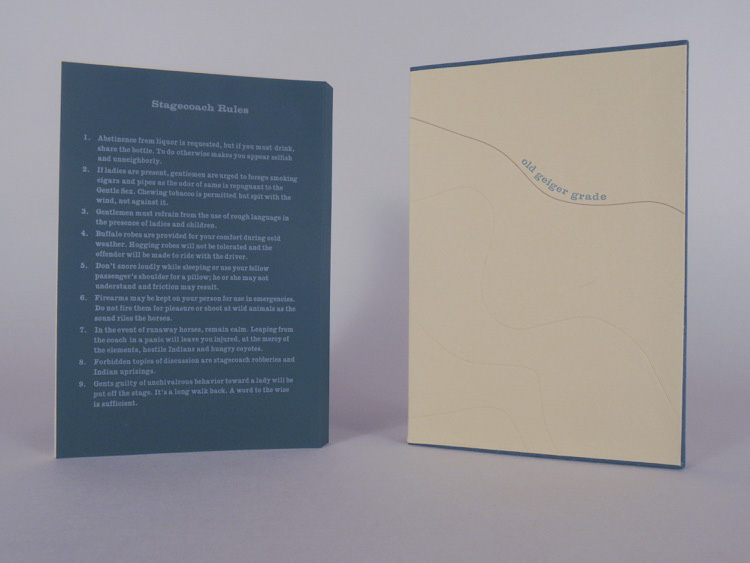 Each choice in the book feels careful and intentional, from the materials used to the placement of each illustration, line of text, foldout, and addition, and of course the style of the binding, which reveals the normally hidden workings of the spine of the structure. Many people base their identities on the kind of thinking they use, which leads them to the kind of subjects they’re interested in. For example, someone who thinks very logically and who likes to problem-solve might see herself becoming an engineer or a scientist, and one who is more interested in picking out the beauty in words and the world in general might become a poet. 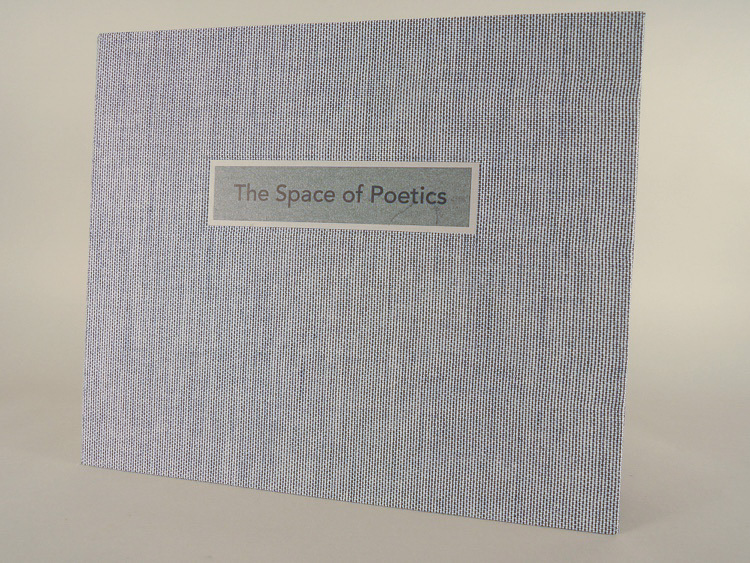 Of course, there is beauty in science and logic to poetry, but not many people realize the extent to which all the disciplines really inform and support one another. 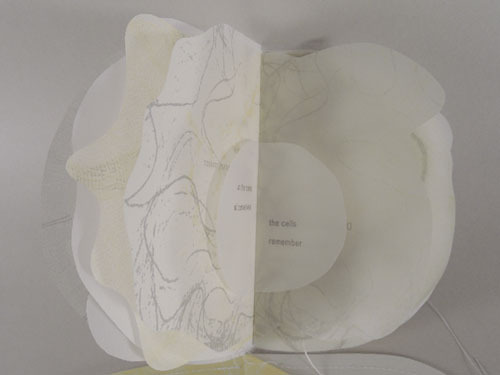 Macy Chadwick addresses this disconnect in her artist book Cell Memory, which presents an ethereal, artistic version of a cell with translucent pages of poetry and pages reminiscent of actual cell parts. 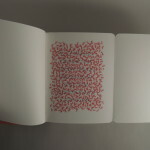 The book is meant not only to call to mind a cell itself, but also that of which cells are capable. 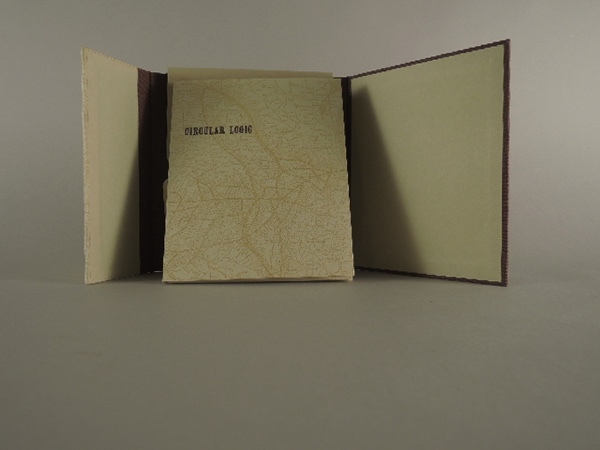 The book is only about three by four inches when closed, plus it is comprised of thin, translucent paper, so it requires delicate handling. 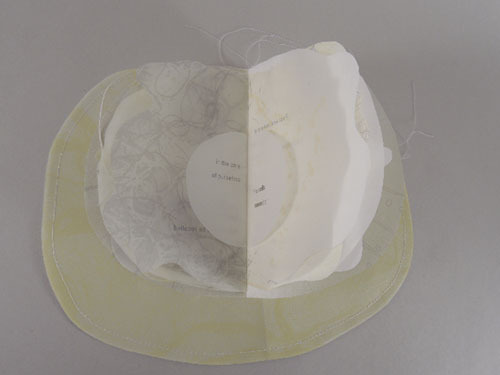 It comes in a round, thin case made of the same kind of paper, in which it is possible to see some stringy fabric and another piece of paper with the book’s basic information on it. 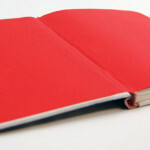 This establishes the book as something to be protected, or even revered. 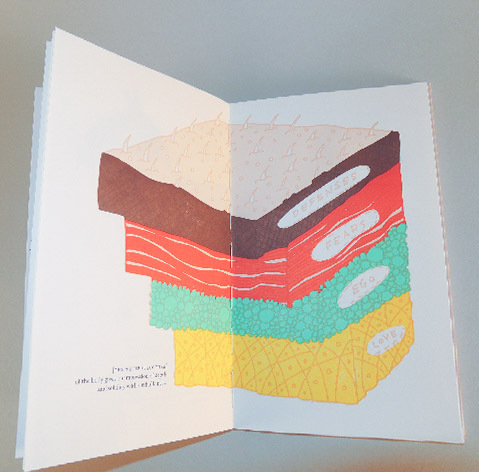 There are multiple patterns printed on the pages, all with abstract images and organic colors. 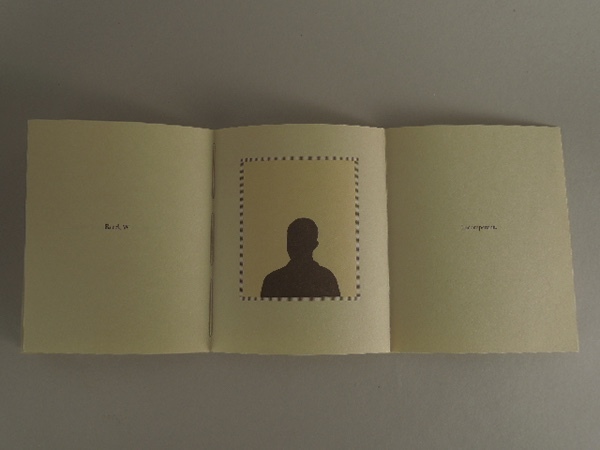 The pages’ translucency allows for the images to slightly show through to surrounding pages, which lends itself to a sense of connectedness throughout the book. 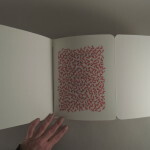 Usually artists get to make each page its own entity, but each page in this book necessarily affects the next. 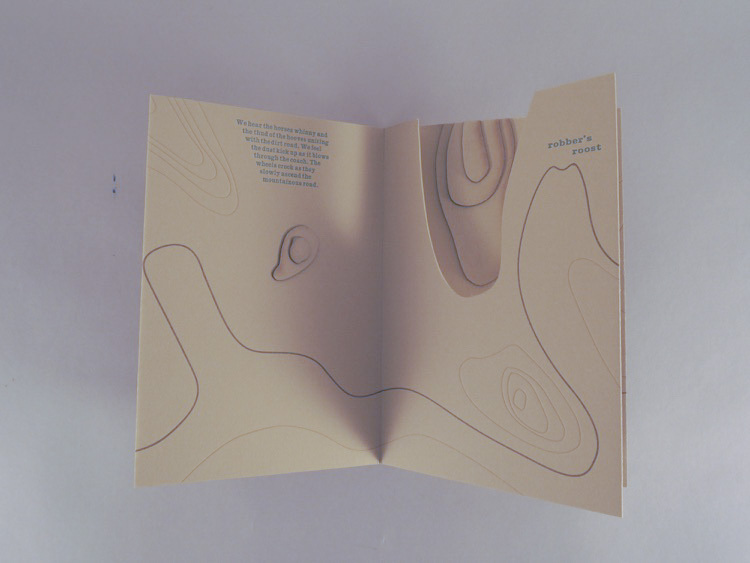 The pages are also different sizes and have differently shaped edges, which combines with the patterns to make each seem like a different part of the cell body. 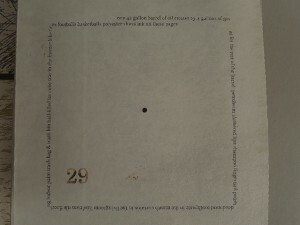 This literal connectedness ﬁnds a parallel in and is explained by the text itself, a poem with a few lines per page. in the core/ of ourselves/ the cells remember/ Past and potential. Since cells have the potential to participate in so many organic functions and entities, each cell and cell part resonates with a sense of etherealness, the ability to transcend the present and become a part of something signiﬁcant. Of course, a side effect of this is the cell’s transformation into something signiﬁcant all on its own, simply because of its potential. Chadwick certainly makes it clear that the cell is something to be appreciated, even revered. 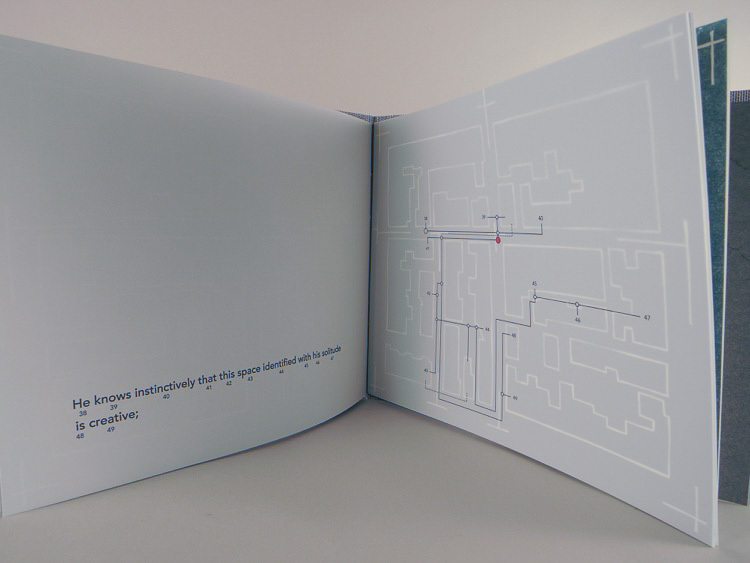 The book even comes in a thin translucent case that adds to its importance. 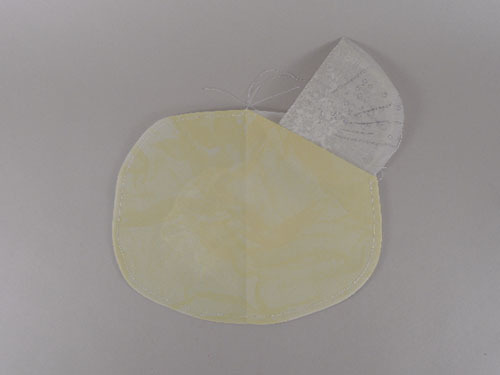 further reinforce this dichotomous existence; they acknowledge that cells are not able to hold declarative information but that every part in a cell is so connected with each other and with the cell as a whole that it automatically has a sense of its history. In other words, cells’ mobility and relative transience contrasts with their role in life since life ﬁrst began, so each cell might seem insigniﬁcant on its own but really reﬂects billions of years of history. Chadwick’s creation very surely achieves this as well, as one can see through the combination of all the elements of the book. 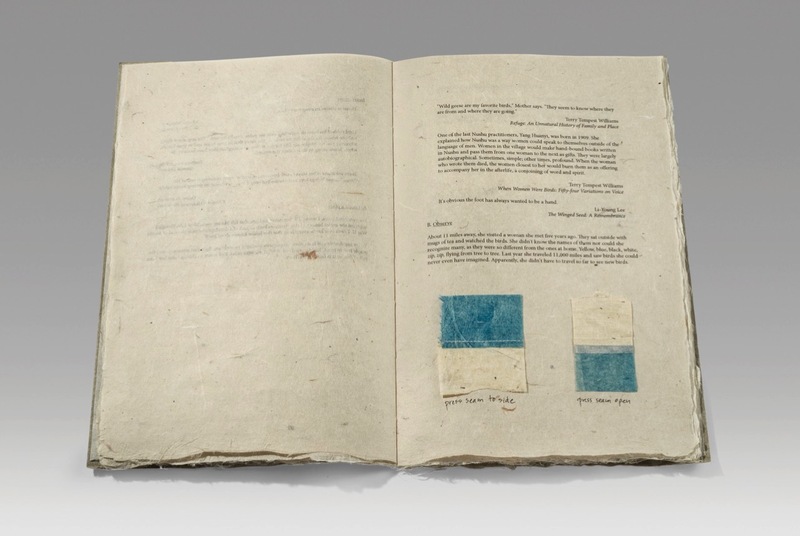 It establishes itself as an auratic book through its translucent, small, colorful, and differently shaped pages and the inside poem’s reference to something much bigger than (but also exactly the size of) itself. It is the potential and memory that the book calls to mind, however, which really comprise the feel of the book when one views it. 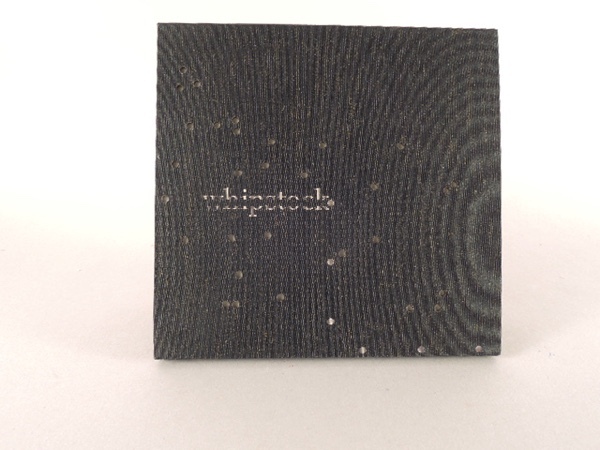 Chadwick effectively brings together poetry and science in a way that artist books do so well, exploring the potential of a unit of life page by page and line by line. 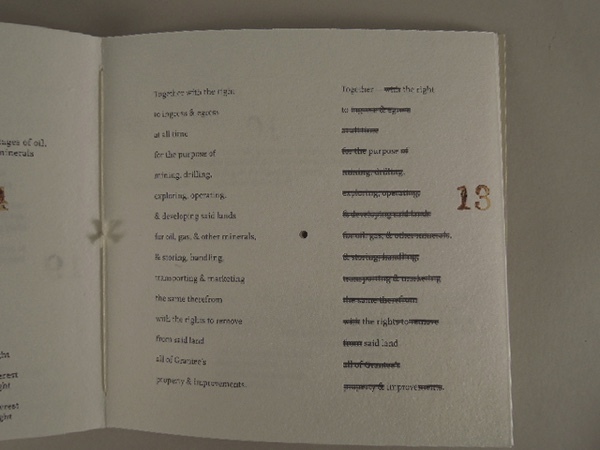 Again, there is a sense of connectedness created by the see-through pages and repeated imagery in the poem itself, and all elements work excellently together to achieve a general representation of both delicate transience and eternal strength. 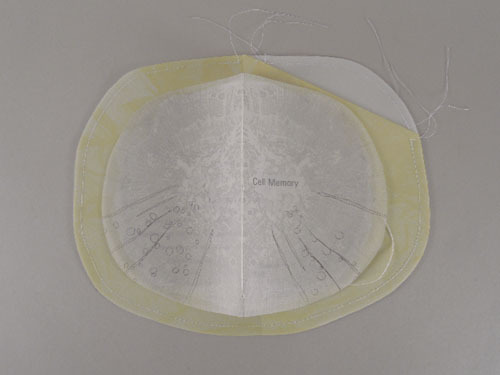 Click here to purchase Cell Memory. 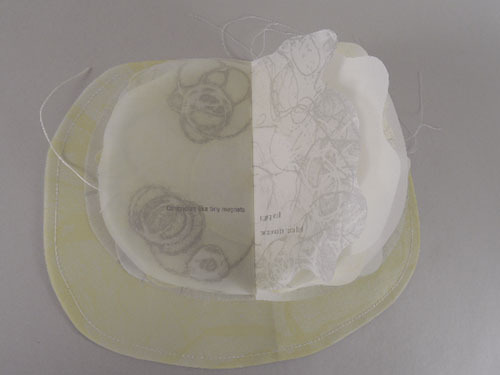 This review, by Sandra Kroupa, was first published by the College Art Association in caa.reviews on May 31, 2013 and is re-published here with their kind permission. 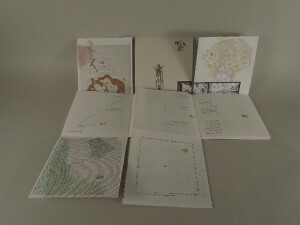 Limited edition of 57 letterpress printed copies. Berkeley: Set in Motion Press/Still Wild Books, 2011. 6 pp. 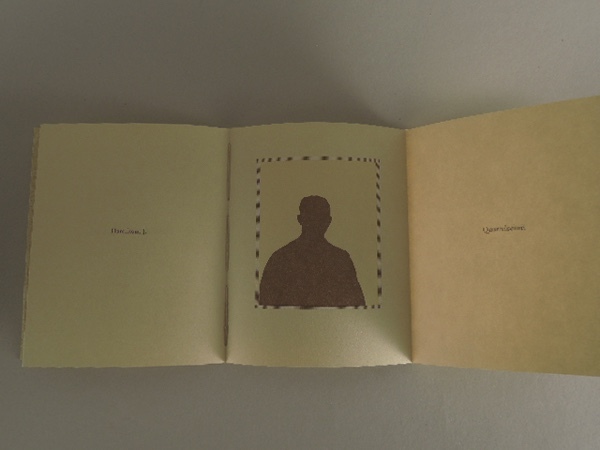 “What is alive anyhow?” This is one of the simple, troubling, and eternal questions posed by Casey Gardner’s artists’ book, Body of Inquiry. Her response is anything but simple. 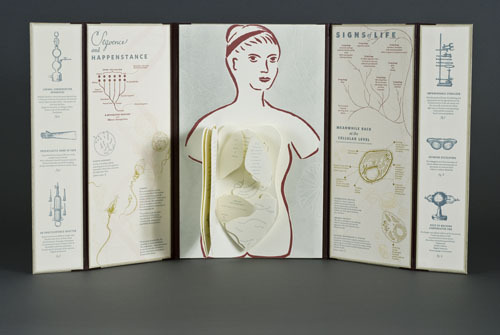 Partly inspired by the Musée des arts et meétiers, a labyrinth of scientific instruments and investigations in Paris, Gardner creates a complex multi-layered work combining the museum, her elementary science classes, technical facts, and an anatomical model called Torso Woman with her speculations on life, science, and death. The result is truly surprising. In the colophon Gardner states that “this book has been on my mind for quite some time.” Gardner tackles an issue no less than the fundamental one—where is the break between life and death? 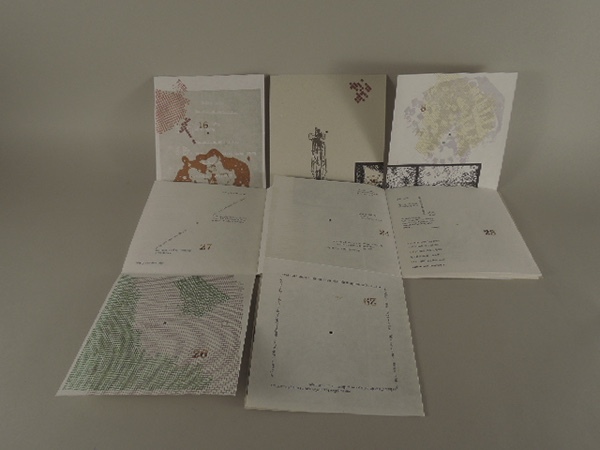 This is a question that has troubled us all, or will, and one that as the Curator of the Book Arts Collection at the University of Washington Libraries I have tried to bring together a “body” of work to explore. 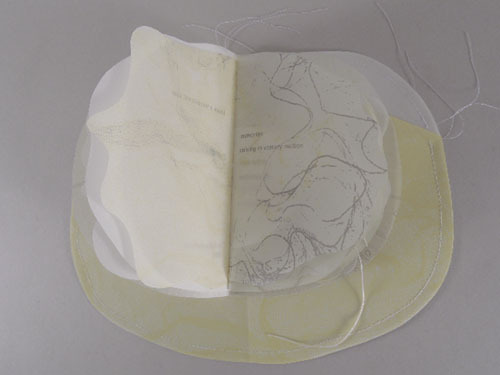 That group includes artists known for explorations in this field: Susan King, Joyce Cutler-Shaw, Maureen Cummins, and Tamar Stone, among many others. 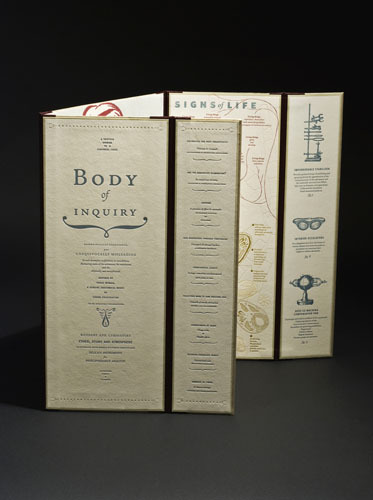 When I first saw Body of Inquiry at the College Book Art Association annual conference in February of 2012, I did not know Gardner’s work. 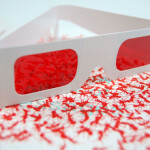 I was struck by the piece exhibited in a vitrine and spent an hour asking everyone if they knew the artist. Charles Hobson took on the mission and emerged from the crowd with Gardner in tow. She had another copy of the book with her, and I had the opportunity to handle it for the first time. 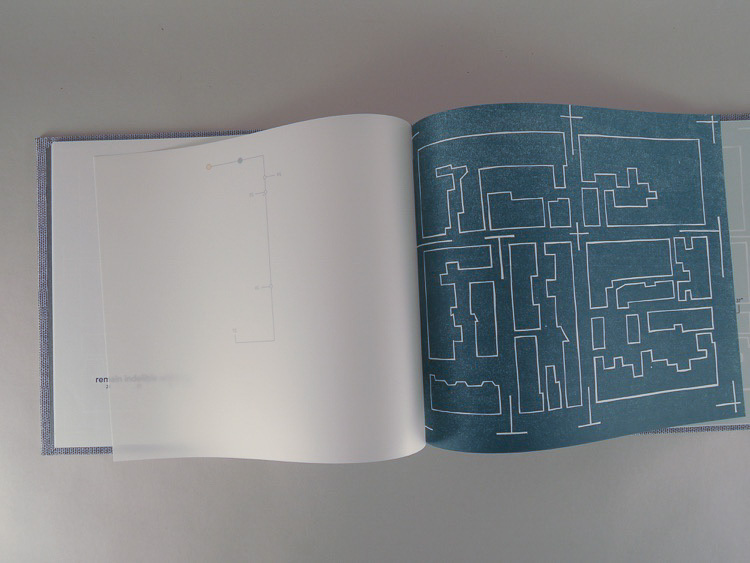 The book’s shape references an elementary school science project poster session, albeit a very sophisticated one. 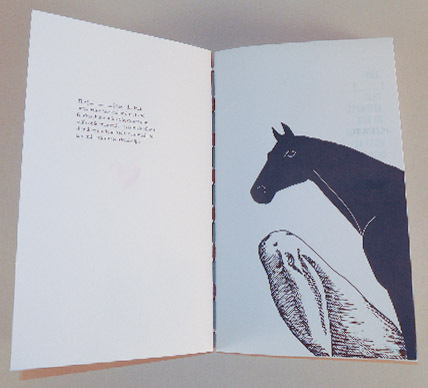 It is a standing triptych, letterpress printed on both sides. 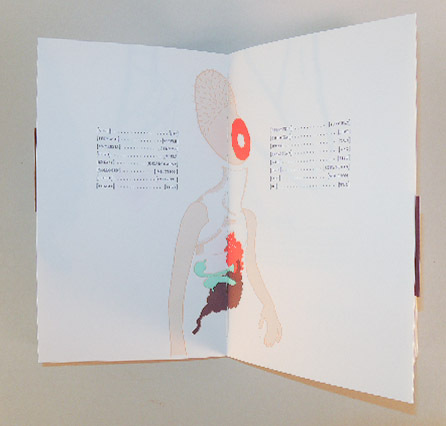 The “body” at the central core allows the reader to explore further and further into it, moving chest, lungs, and other parts aside to get to the central point. Gardner adds the complexity of a series of six pages and eight flaps to this body, each with text. 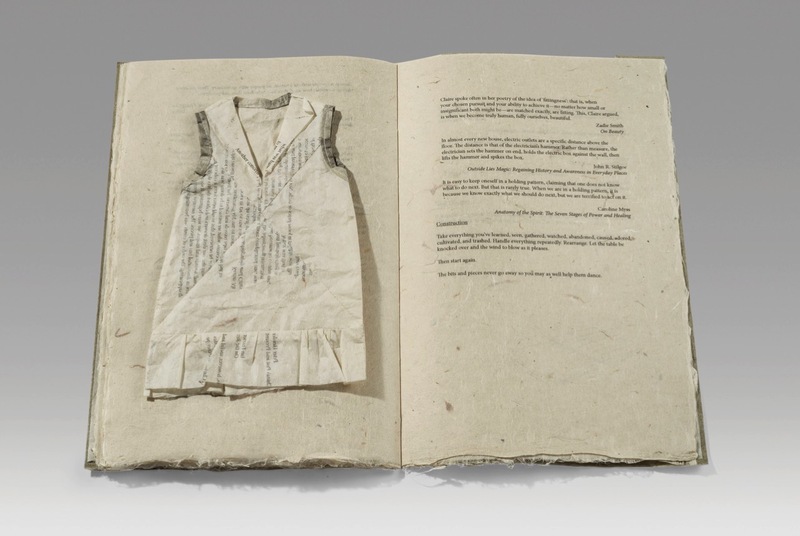 Like many books in this field, a textual description does little to convey the work, and I suggest seeing the excellent photographs of the piece here. 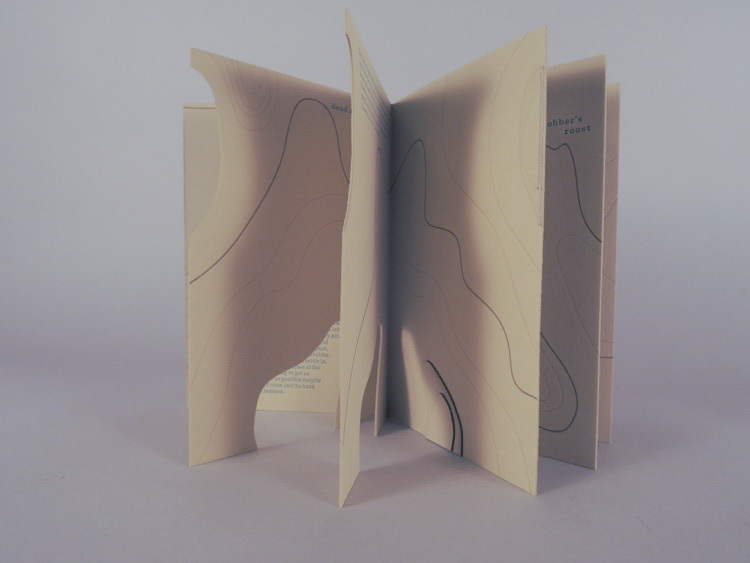 Many artists’ books are the antithesis of today’s technology; they are measured and slow. 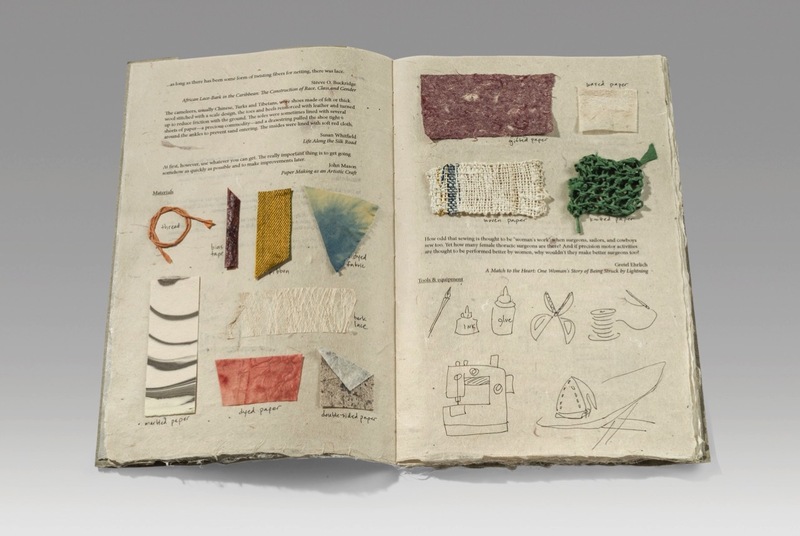 These books evoke the methodical practice of their making. I am sure that Gardner’s project took years to conceive and produce—perhaps since her fourth- and fifth-grade teacher, Mr. John P. Sullivan, to whom the book is dedicated, sowed the seeds long ago. His approach of making “learning an immense fantastical tale” has not yet worn off. 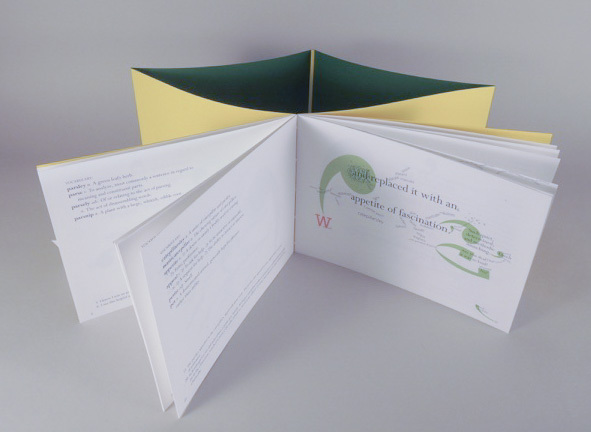 There are at least five passes through the press on most of the sections of the book, with as many colors plus blind embossing. 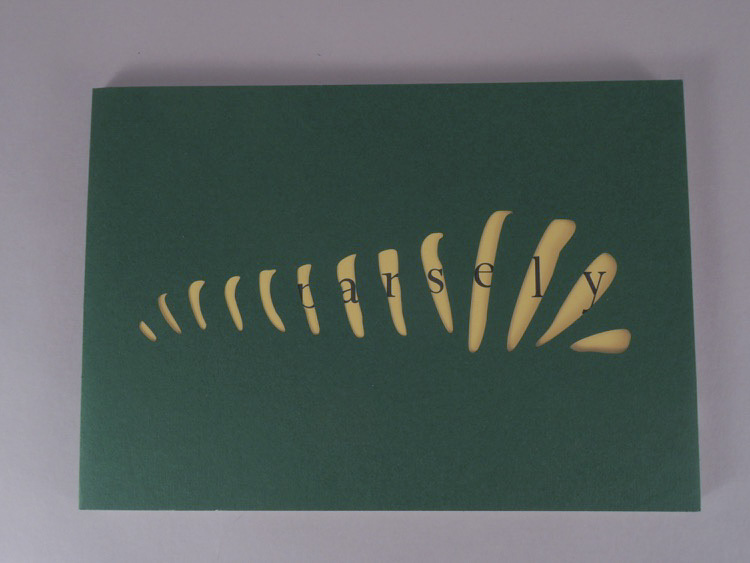 This small edition of fifty-seven copies explores deep and sobering issues through wit and charm, clever text, and strange, often beautiful images. But Torso Woman is at the core of the piece in more ways than one. 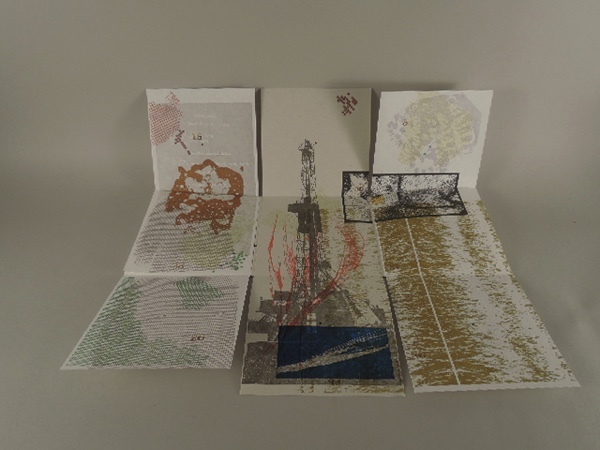 Many of Gardner’s images of scientific instruments are taken from “late 19th and early 20th century laboratory catalogs,” which are combined with her own elaborate drawings. 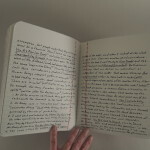 Her fantastical captions for the real devices are paired with factual text explaining her drawings. 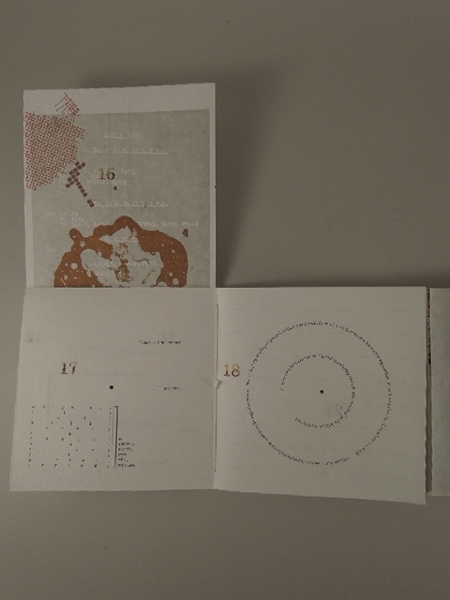 A strange historical object is labeled “an unaccountable injector” with the description: “Extract of inconceivability to mingle with churlish inner ducts of deep seated disenchantment.” Her delicate drawing of sperm that looks like wild strawberries is paired with text about the 3.2 billion letters in the coding of DNA. The puzzlement of how living things work has fascinated people for most of recorded history. For centuries that fascination has been put into books. Seeing in Bologna both the actual artifacts and the original wood blocks of Ulisse Aldrovandi, one of the founders of the modern study of natural history, gives Gardner’s book historical context for me. 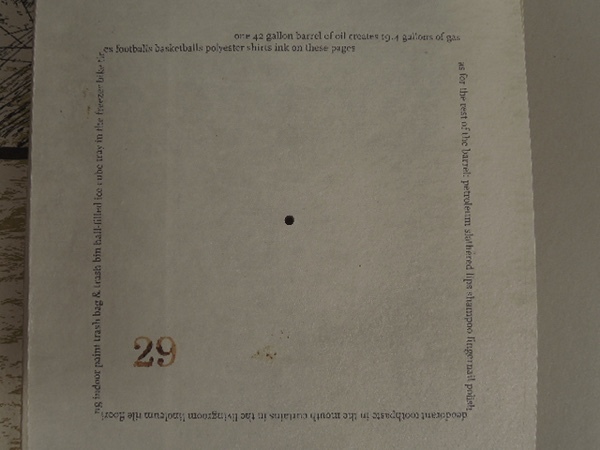 Aldrovandi tried to put the entirety of the living world into a series of books from 1574–1667; one can see both the compulsion and folly of such a task but also its inevitability. Although Aldrovandi died in 1605, this magnificent project continued to be published so that his vision would be carried into the future. There are classic images of the twentieth century that seem to capture the moment between life and death: Eddie Adams’s Pulitzer Prize-winning photo of General Nguyen Ngoc Loan executing Nguyen Van Lem during the Vietnam War and Robert Capa’s famous photograph from the Spanish-American War, The Falling Soldier. Whether the latter is documentary or art, it still conveys that moment powerfully. We are fascinated by “last words”—especially of the famous. Gardner’s Body of Inquiry is not autobiographical in any obvious way but gives a sense of completion—a quest come to successful conclusion. 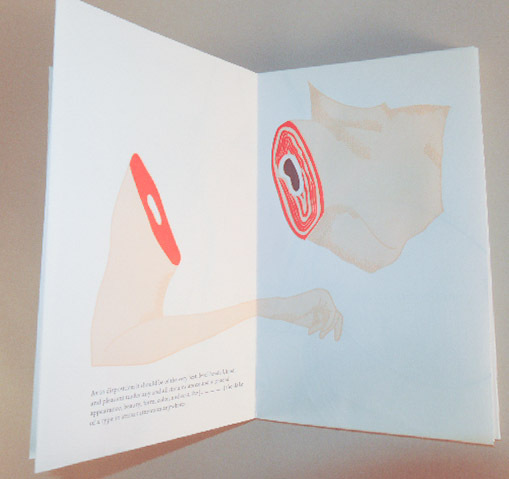 Gardner, inspired by Torso Woman, set off into the unfamiliar country of the body and the cosmos. Here she found a reverence for the senses, the balance of truth and mystery and an understanding that science and poetry are part of the magical. 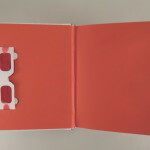 The best artists’ books resonate in the way a piece of music does at first hearing—offering a new sound but still familiar, making us nod in agreement, hearing our own internal voice in the sounds. 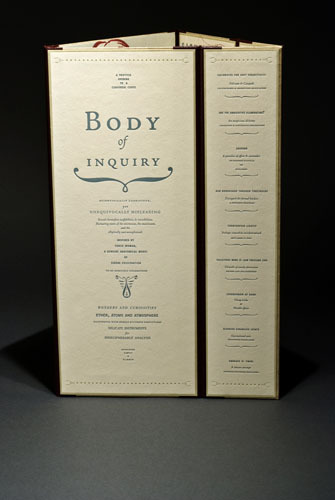 Body of Inquiry is a text-rich piece, an entire jazz concert rather than just a simple song. 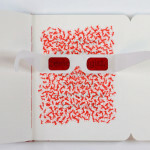 Gardner’s book could just be “looked at” and be found charming and ambitious. If really read, in the end it leaves us sober and thoughtful but glad to be alive.